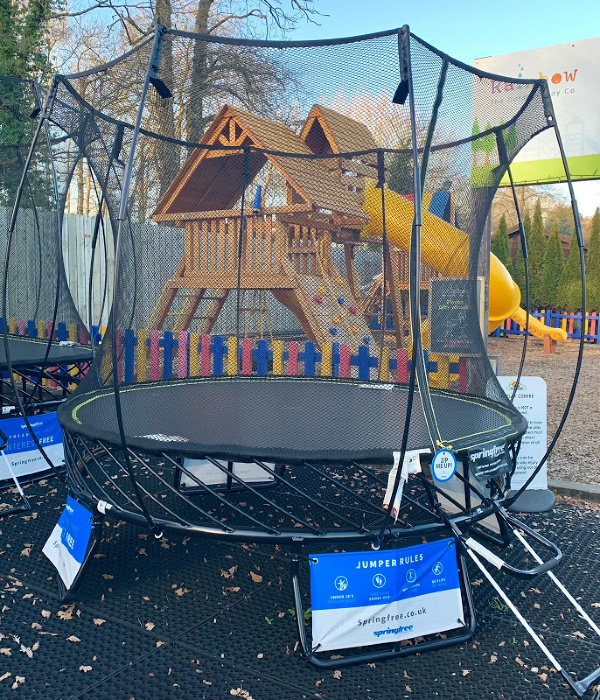 Roll up…Roll up… This year we have an incredible range of ex-display models for sale and we’re confident there will be a trampoline that is PERFECT for your very own garden. 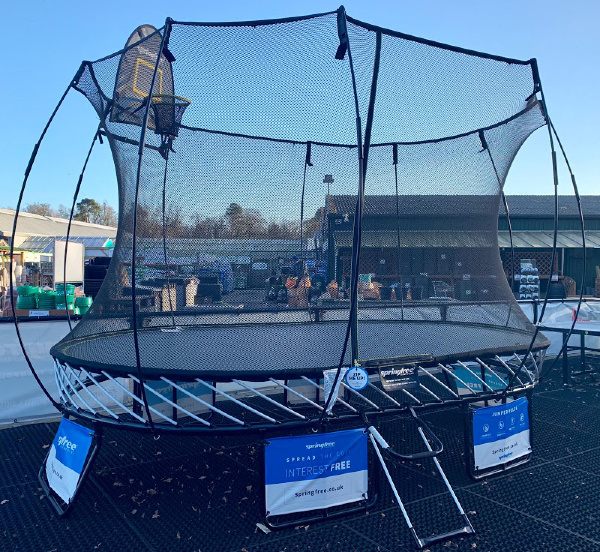 Every year we showcase a selection of our World’s Safest Trampolines at different events and shows all over the country to allow children (and parents!) to see what all the fuss is about, find out why Springfree are the safest, but most importantly have a bounce on one of the amazing Springfree Trampolines! These trampolines are used only a handful of times and are kept in perfect condition ready for our ex-display sale in January. Springfree have been very busy this year, promoting at a huge variety of events. Because of this, this January we've had nearly THIRTY ex display models for sale!! Whether you’re looking for a compact round, large oval or a large square (or any size in between) we have a garden trampoline for sale that has your name on it. Let me talk you through our different models and see which one of our trampolines for sale would work best for you and your family. If you’re limited on space, that’s not a problem! Let's start with our 8ft Compact Round model which is great for all gardens no matter whether they are big, small or somewhere in between. It’s compact shape yet effective bounce space ensures your children can bounce happily and safely. Our Compact Round model has been really popular in our sale so far so we have just three of these left at a discounted price - and remember all our trampolines come complete with a safety net that works to provide the safest bouncing zone on the market. Next size up for sale is the 10ft Medium Round Trampoline! This model is more in keeping with the shape and size of a traditional sprung trampoline which is appealing to lots of families. With 79 sq ft, this model is perfect for families with more than one child but doesn’t take up the whole garden! We have four of these left with a range of different discounts so this trampoline for sale is definitely one not to be missed! Now here’s where things get interesting… moving away from the traditional round trampolines, we have a couple other shapes up our sleeves to share with you. The 8ft x 13ft Large Oval Trampoline is also available - we have just one left for sale at a discounted price so BE QUICK! This shape suits longer gardens and is perfect for children who want the space for gymnastics and tricks. We also have three 11ft Large Square Trampolines for sale - these are our biggest and most popular trampolines in the sale! With 113 sq ft of jumping space, there is ample room for the whole family to enjoy a safe bounce! Great for bigger gardens, you really do not want to miss out on picking one up whilst they are available at this fantastic discounted price. As well as trampolines, we also have a selection of ex-display accessories including Flexsteps, All-weather Covers, Flexrhoops and Shifting Wheels! Contact the Springfree UK Head Office or our customer care team on 01276 477461 for more information - or to grab one of our ex-display models an take it to it's forever home with you and your family! Springfree, the World’s Safest Trampoline, engineered for safety, built to last!